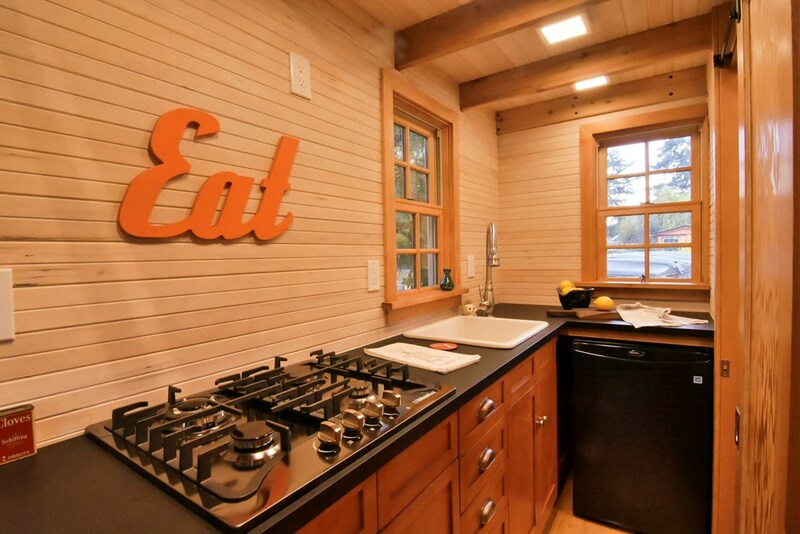 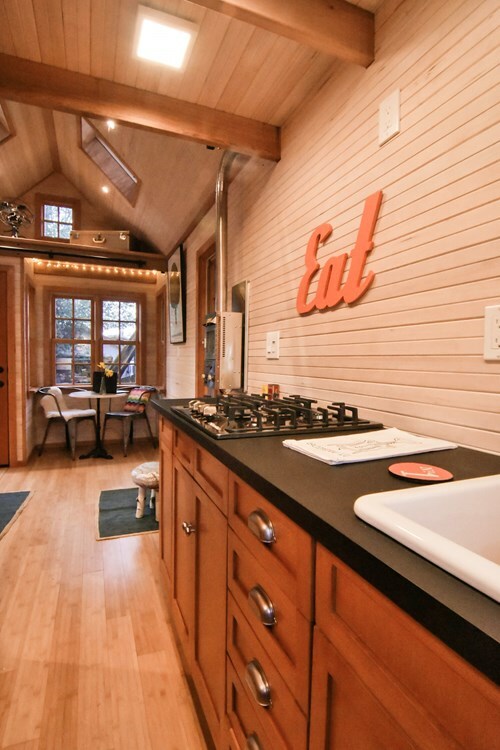 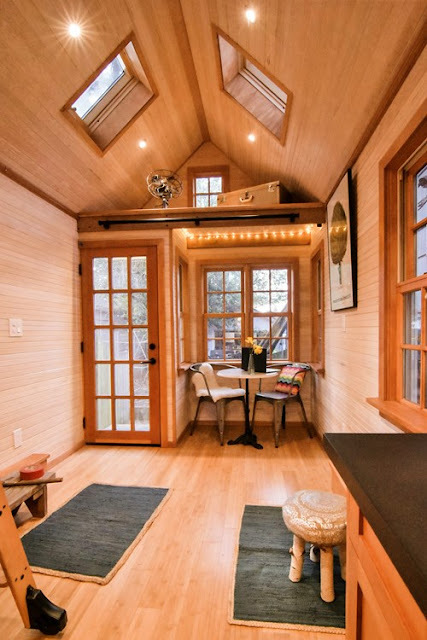 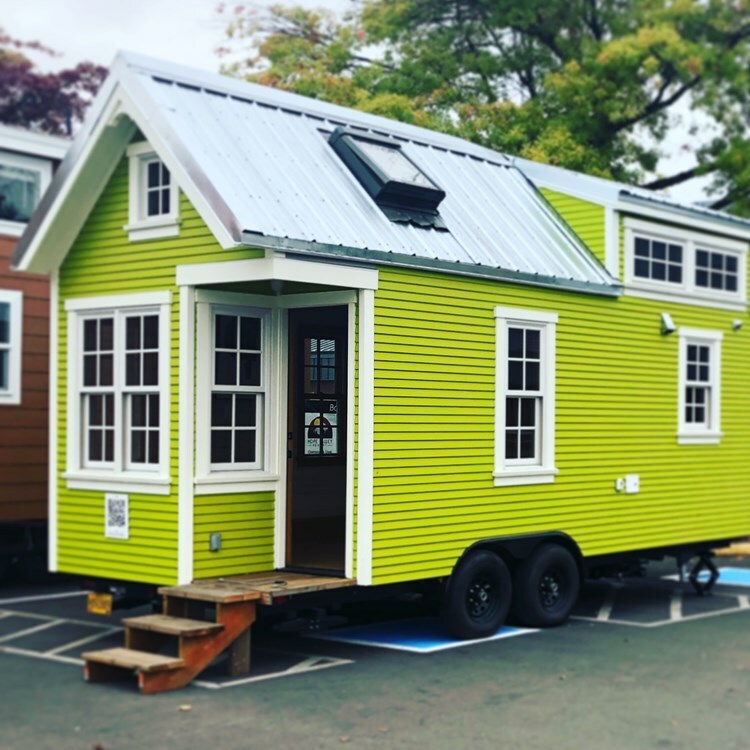 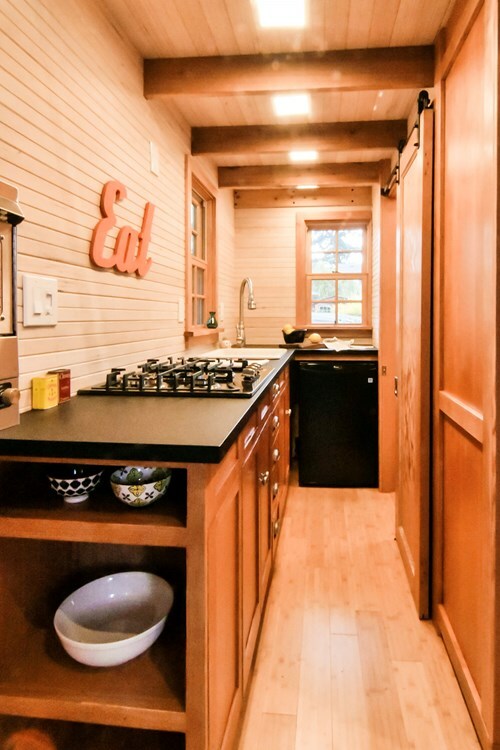 This eye-catching green tiny home is currently offered for sale in Oregon! 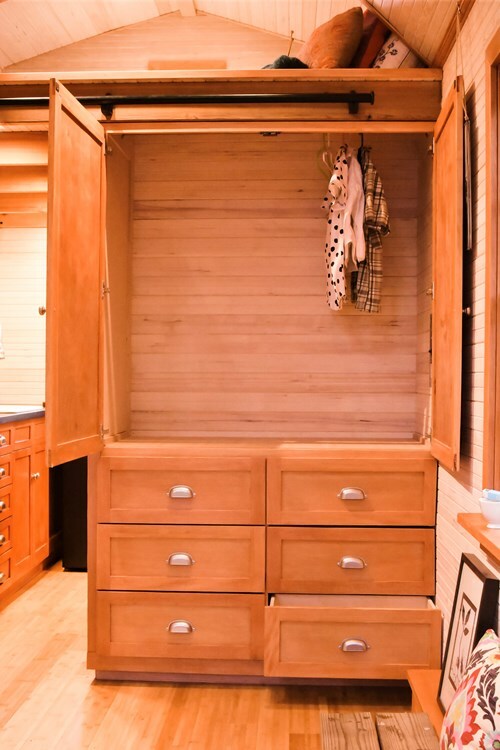 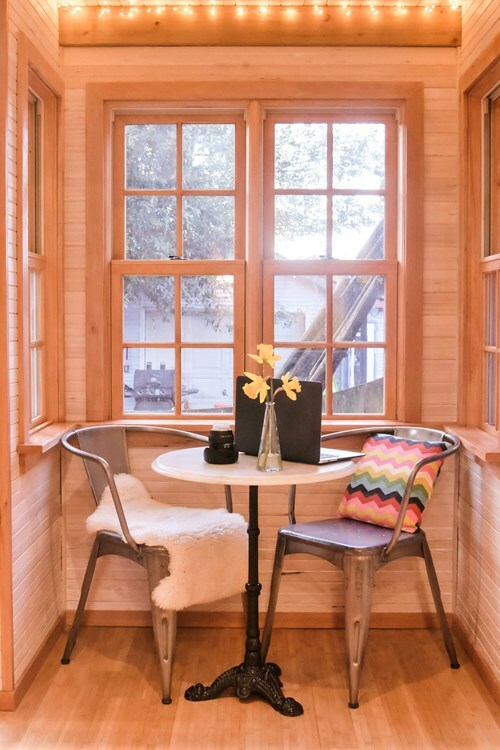 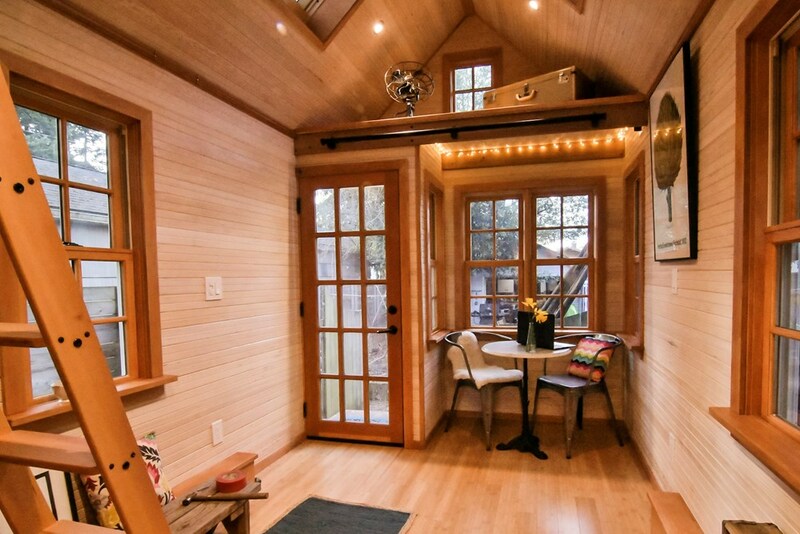 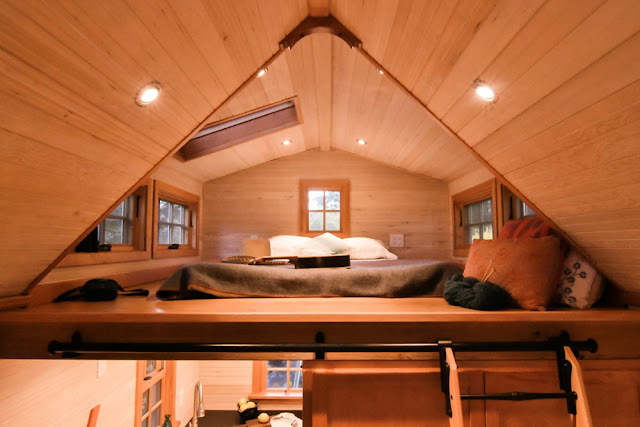 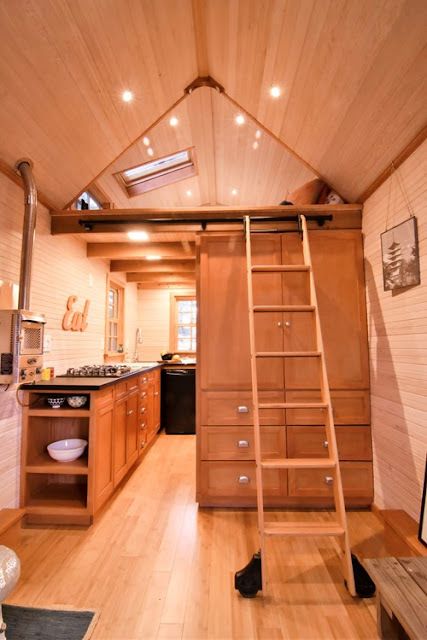 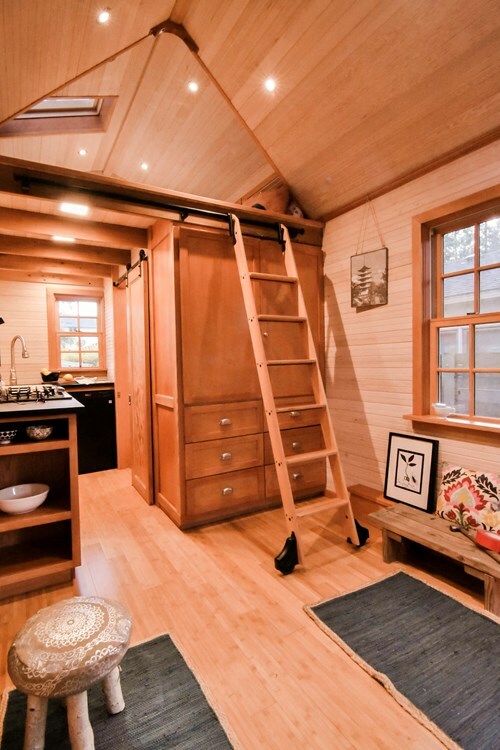 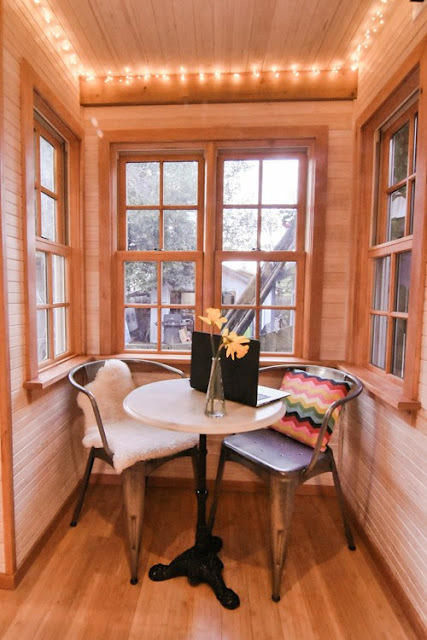 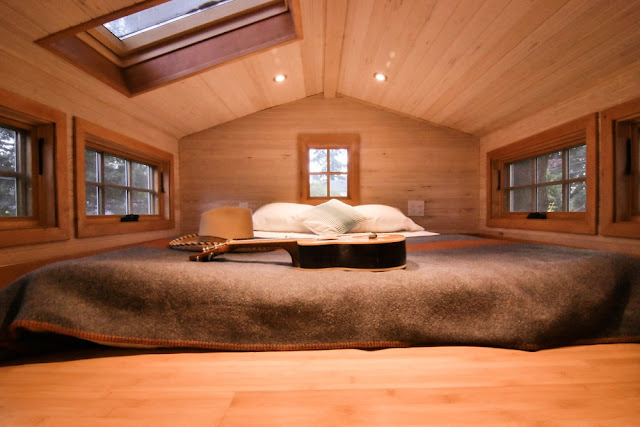 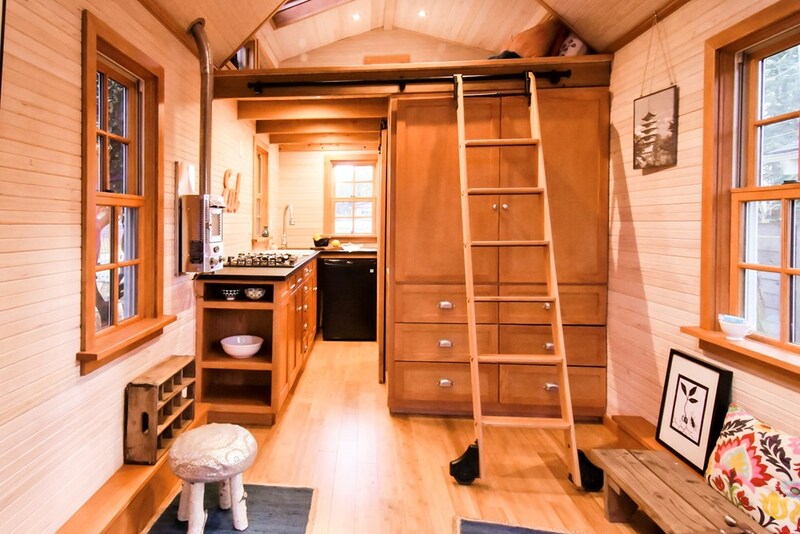 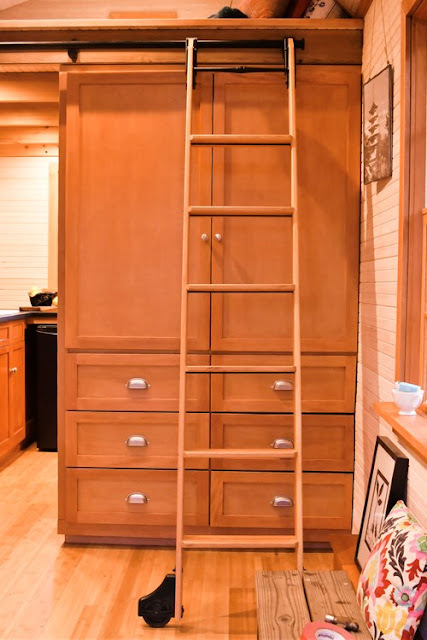 Nicknamed the "Terrapin Tiny House", the home spans 20’ x 8’ and comes with a warm and cozy all wood interior. 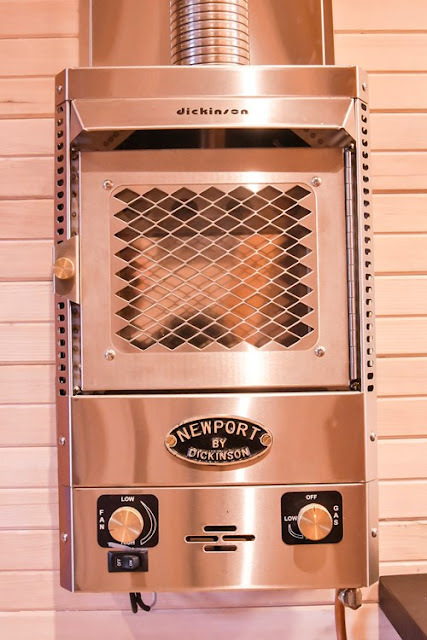 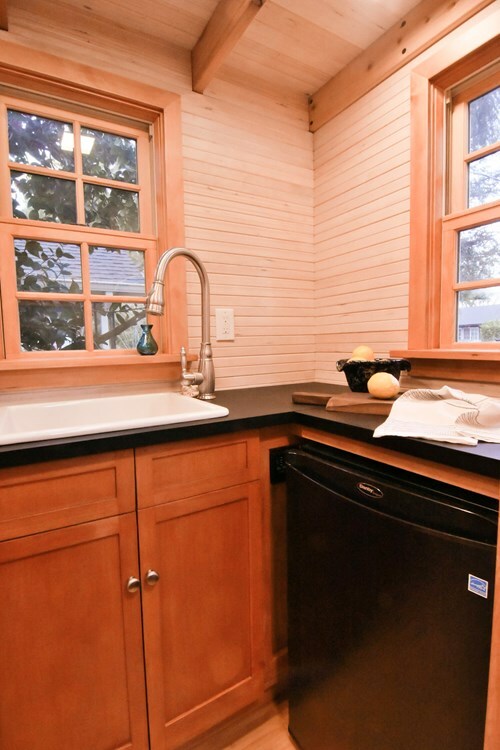 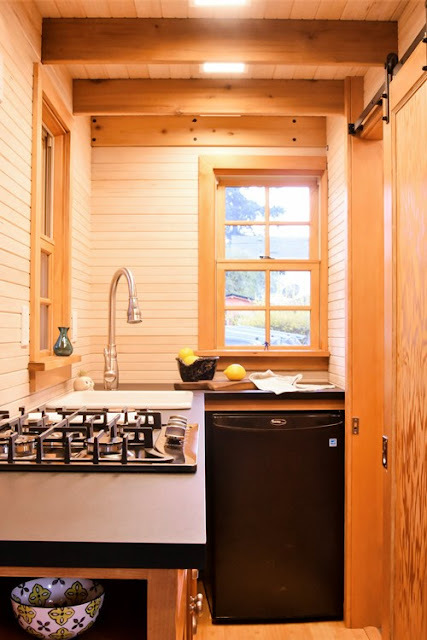 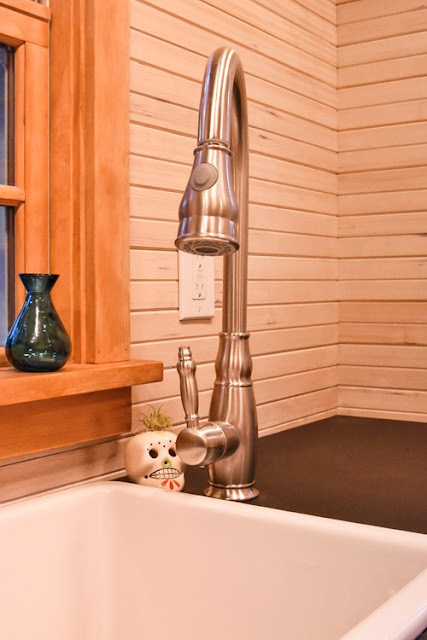 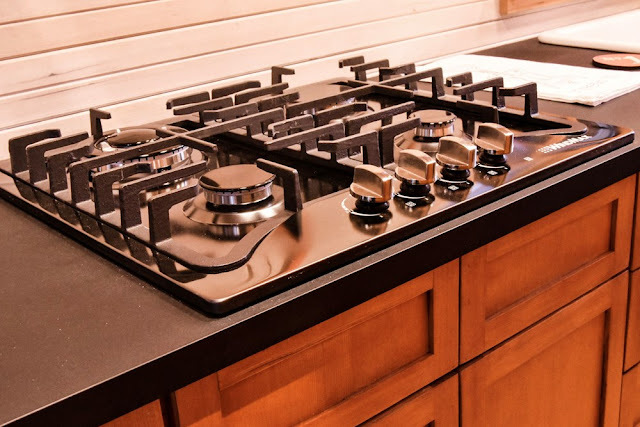 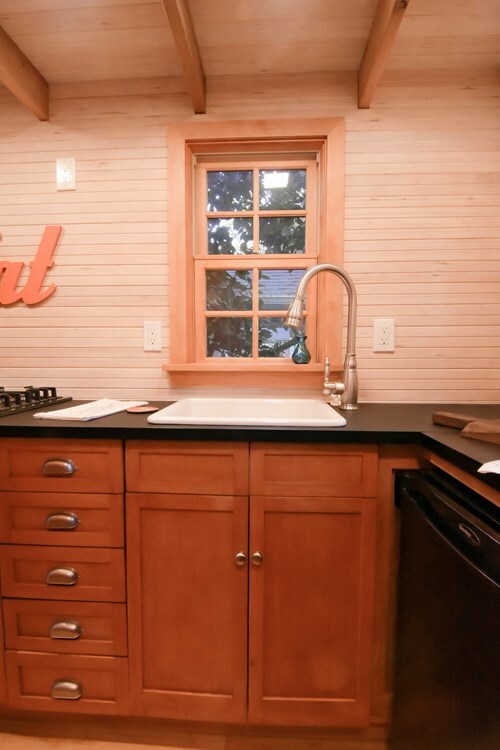 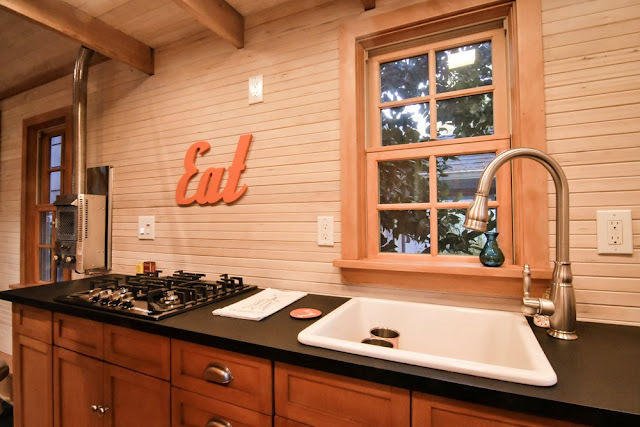 The kitchen comes outfitted with a four-burner propane stove, a mini fridge, a sink with a stainless steel faucet, and storage. 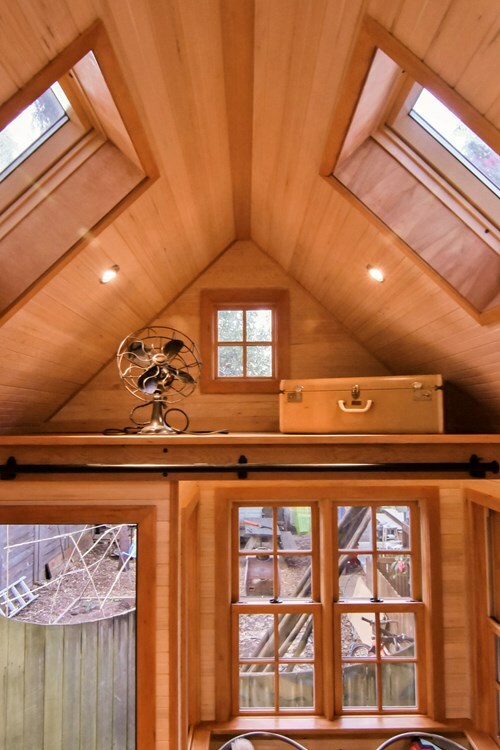 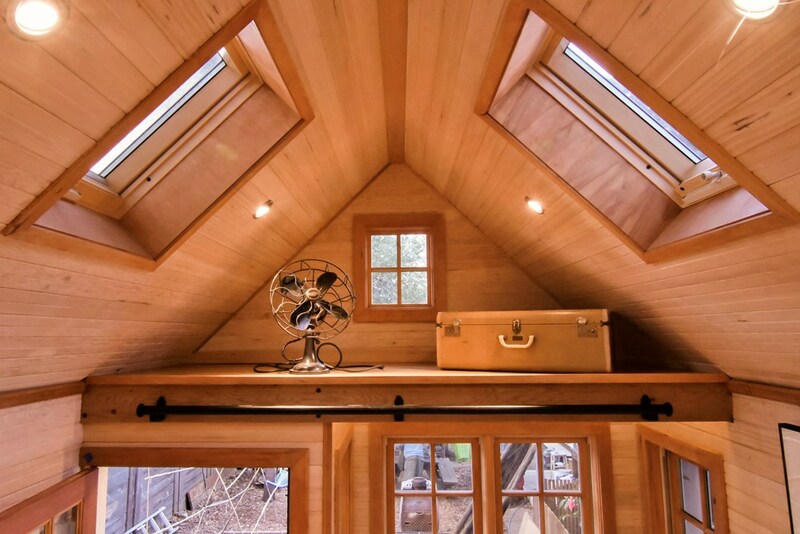 The main bedroom, accessible by ladder, comes with a skylight that’s perfect for stargazing at night. 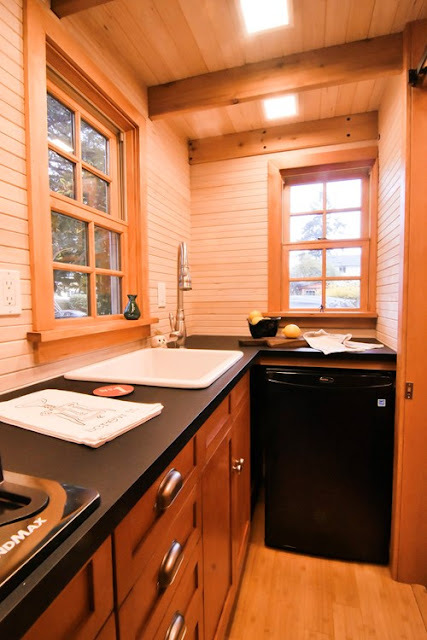 There’s also a bathroom with a clawfoot tub and an RV toilet.